False alarms from fire detection and fire alarm systems are a problem worldwide. This article reports on research to investigate the causes of false alarms with the aim of identifying measures to reduce them. False alarms from remotely monitored fire detection and fire alarm systems cost businesses and Fire and Rescue Services (FRSs) an estimated £1 billion a year in the UK. 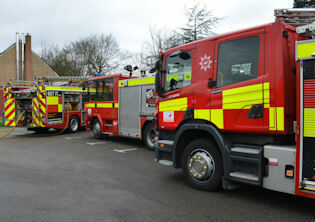 In the period 2011-2012, FRSs in Britain received 584,500 callouts; 53.4% of which were false alarms. As well as being a considerable drain on fire authority resources, this causes business disruptions (leading to a loss of productivity) and reduces the confidence of the general public in fire alarms. One might therefore expect the problem to be well understood. However, as there is no single organisation responsible for investigating false alarms or providing guidance on reducing them, there is in fact little available data. In view of this the BRE Trust funded a research project to collate information about the underlying causes of false alarms observed in buildings, with the aim of identifying measures that could reduce their occurrence. While the lack of available data made this investigation more difficult, two contributors were eventually identified, Kings College London and Buckinghamshire and Milton Keynes Fire Authority. KCL manage an estate of 74 buildings constructed between 1830 and the present day, which contain fire detection systems that were installed (or updated) at various times over the last 20 years. As with most large premises the KCL estate has experienced a number of false alarms over the years. Since 2007 KCL’s Senior Fire Safety Officer has instigated and led a very proactive approach to the issue of false alarms, which involves engaging with KCL personnel, contractors and users on multiple levels to reduce their occurrence. KCL generates a yearly internal report with a log of all events leading to alarm activation. This includes detailed information on the location, cause and current status of the incident. The follow-up investigations, controls and guidance have led to a significant reduction in false alarms, particularly those generated in halls of residence. improve the control of contractors (9.7%)carry out more rigorous maintenance of the system (6.0%). Of the solutions proposed, the replacement of single-sensor with multi-sensor detectors (right) appears to be the simplest and most effective. Multi-sensor detectors respond to more than one of the fire signatures, i.e. smoke, heat and carbon-monoxide, released during a typical fire. Multi-sensors often increase sensitivity levels when more than one fire signature is present, thus ensuring a quicker alarm response than a single-sensor detector. 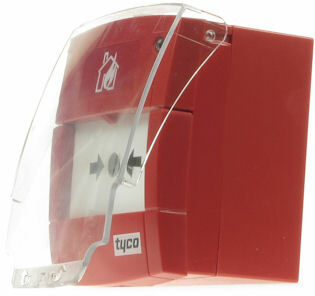 The cost of false alarms to businesses is estimated to be around £2.9k per alarm. The cost of a standard optical/heat multi-sensor is reported to be between £5 and £10 more than that of a standard optical detector. This indicates that replacing problem detectors in areas where false alarm risks are high is a cost effective solution. BMKFA employ an Unwanted Fire Signals Officer (UFSO) to investigate unwanted fire signals (UFSs) by making contact with offending premises, providing guidance when required and identifying corrective actions to reduce further UFSs. As a result BMKFA have successfully reduced fire alarm signals by 45% over a seven year period (from 3308 alarms in 2005 to 1815 in 2012) in Buckinghamshire and Milton Keynes. This amounts to an estimated cost saving of around £450k a year. The UFSO reviews the data generated by his colleagues (recorded in the IRS database) to identify the worst offenders in relation to UFSs. He then engages with four or five premises a week, where a phone call or an email is often sufficient to identify and solve the problem. If not, a site visit is arranged with the designated “responsible person” to identify the cause and propose solutions. encouraging greater communication within an organisation, e.g. the fire safety manager should know when building contractors are due. false alarms are investigated, when practical, before calling for helpfalse alarms are followed up and action is taken to prevent re-occurrence. Reducing the number of false alarms from domestic premises remains a challenge across the whole of the UK even though the vast majority are reportedly related to cooking incidents. Educating homeowners on effective installation and use of detectors in and around kitchens is likely to lead to the greatest reduction in false alarms. There are many ways of reducing false alarms, often using simple methods. Educating building owners, responsible persons and the general public can contribute significantly to false alarm reduction. Also, the increased use of multi-sensor detectors may avert false alarms from common causes such as cooking fumes and steam. The use of a technical and experienced individual assigned to investigate and reduce false alarms has proven to work in the field for both KCL and BMKFA. This work has prompted a number of stakeholders, led by the Scottish Fire and Rescue Board, to propose a more thorough investigation of false fire alarm causes. The proposal is that a fire detection specialist would be retained to work alongside the Scottish Fire and Rescue Service for a period of a few months. This specialist would attend all reported fire alarms and conduct a live investigation of the circumstances, so collecting meaningful data for analysis. This project is due to start later this month. Further details can be found in a briefing paper available here.